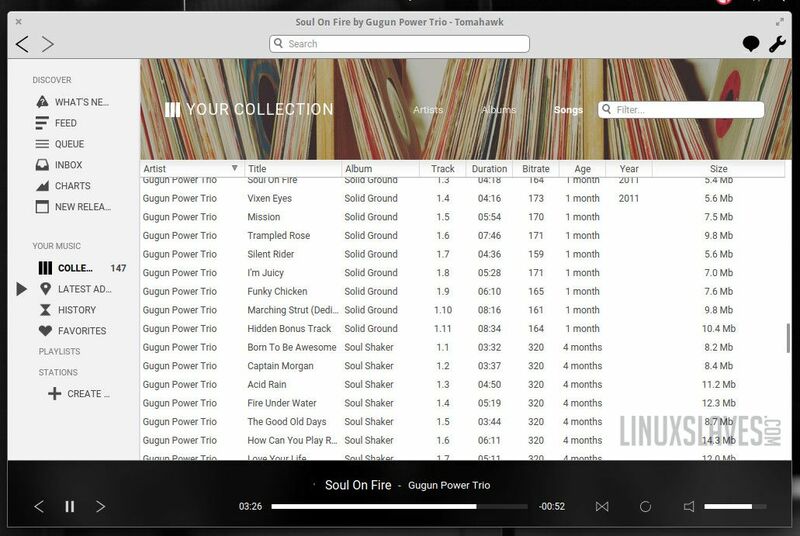 Best music player for linux distribution - Tomahawk is a free multi source and cross-platform music player. It's available for many operating system : GNU/Linux such as Linux Mint, Ubuntu, OpenSuse, Fedora, Arch, Gentoo Chakra, etc, , Windows, Mac/OS X, and Android. 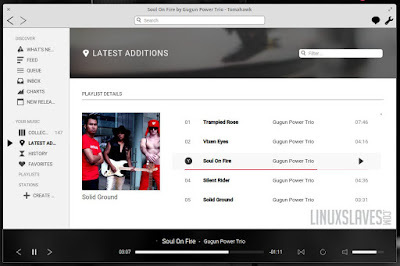 This music player can play not only your local files, but also stream from services like Spotify, Beats, SoundCloud, Google Music, YouTube and many others. You can even connect with your friends' Tomahawks, share your musical gems or listen along with them. 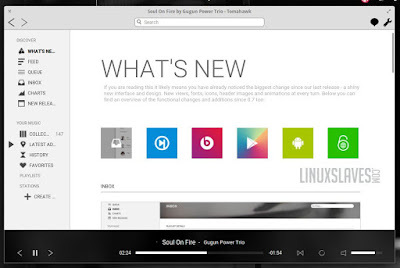 Now I'm use Tomahawk too for listening my favorites music in my Elementary OS. 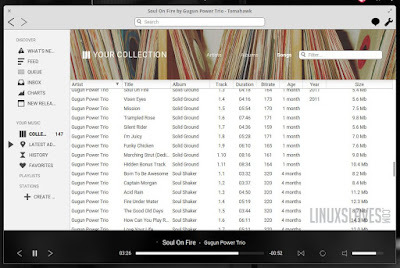 Read How to Play Music From Linux Terminal. So here are screenshot of Tomahawk that installed on my Elementary OS. Go Tomahawk Music Player Site. Click on download button, or scroll down to see download link. Once clicked you'll redirect to launchpad page. Now download the package and install it. Now open the installed app and cheers! That's all I can write about a tutorial tomahawk a cool music player ubuntu, how to use tomahawk music player, and also to install Tomahawk PPA. Hope you've enjoyed reading this tutorial as much I’ve enjoyed writing it and thanks for visiting us.